Sometimes it feels like the forces of evil are growing in number and gathering strength. This update… probably won’t help to fight that feeling. Strider: completely redone Ton Pooh, Sai Pooh and Pei Pooh sprites. All of the new sprites have been added to the main GFX Generator, the image generator I used to make the screenshot at the top of this post! Things will be be a bit slow while I continue to work on commissions and new line art for new prints. Prints are still on sale (my Illmosis site has more than game-related prints), but the sale will end next week. If you see something you like and have the money, pick it up while you can! You can get more info at the Facebook page and these links here and here for the event! edit: there’s an ad on YouTube now! 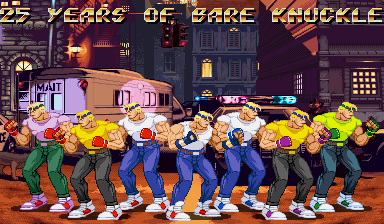 When the 25th anniversary of Bare Knuckle’s debut in Japan hit, I didn’t have the time for a big update (plus, I’ve been kinda celebrating in stealth mode for the whole year, but it’s not too stealthy to say that), so I’m making up for it now, the 25th anniversary of the game’s U.S. debut under the Streets of Rage moniker. Streets of Rage versions of Onihime & Yasha (a.k.a. 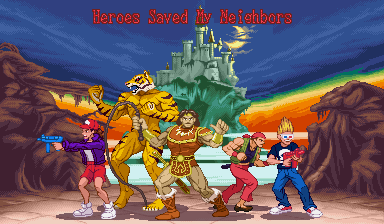 Mona and Lisa), Signal, Haku-oh and Galsia (who also gets a SoR2 sprite) have been added to the Streets of Rage/Bare Knuckle custom sprite gallery and the GFX Generators (which got a HUGE overhaul in yesterday’s update). 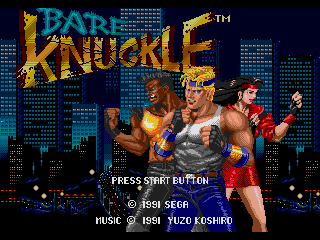 25 years ago, on this very, one of the greatest beat ’em up sagas began when Sega’s Bare Knuckle hit the Mega Drive system in Japan. Mixing the best elements of Technos’ Double Dragon and Capcom’s Final Fight (then the two most recent evolutionary steps in the walk ‘n brawl genre), flavor from Sega’s own Golden Axe system (complete with smart bomb attacks), and a heaping dose of their own style, Noriyoshi Ohba and his team created a solid classic. The game still outshines brawlers on far more powerful systems, especially the legendary soundtrack by Yuzo Koshiro. 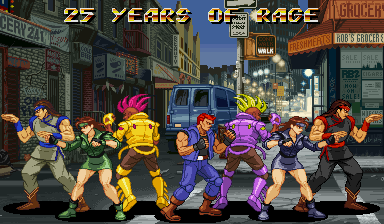 check out these new fighting-scale sprites of SoR/BK 1 and 2 versions of Axel Stone’s fighting stance have been added to the SoR Custom Sprite gallery and GFX Generators (where he also has a bunch of palettes). I also added a Bare Knuckle mini-logo and made some slight improvements to the Nora sprite from the last round of updates. 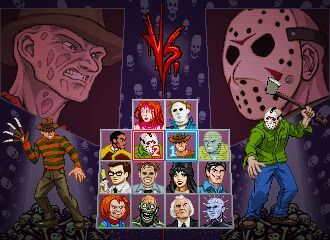 You’re just in time to witness pure, unadulterated evil in pixel form! 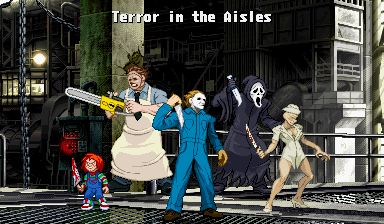 All these sprites were added to the GFX Generators (the old GroupShot and Vs generators). The site will be going on a short pause for a while, but this update is here to give you a taste of what you’ll be seeing this year. 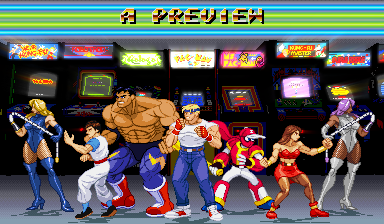 More games and game series will get their own custom sprite gallery pages, like Streets of Rage did in this update. 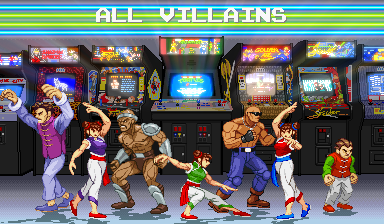 Axel, Blaze, Max and Electra have new sprites to kick off that new gallery page. Meanwhile, Kung-Fu Master’s Thomas’ new scratch-made sprite and Jose from Ninja Baseball Bat Man hit the IREM gallery. I doubt that I’ll be able to have ALL the old sprite edits replaced with scratch-made work this year, but I plan to come close to it. These things, along with two IREM-related minilogos, have been added to the GFX Generators. I plan to finally knock the dust off of the ScrollBoss YouTube channel this year and part of my January has been spent working on material. Shout out to Jessica for the feedback https://quitday.org/ and http://www.ffsonline.org/ for the link help! 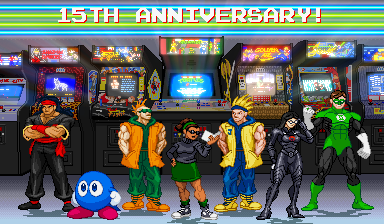 Today marks 15 years of this site’s existence on the outskirts of the internet! Most of today’s update centers on sprites that I wanted to redo from scratch, but there’s also a new ScrollBoss character (you’ll see more from her in future updates) and sprites based on the games of late, great Iwata-san. – HAL Laboratory: Lolo and Lala (Eggerland series) kick off the new gallery. – Nintendo: Balloon Fighter added. – Sega: a new scratch-made Shiva (Streets of Rage series) sprite added. – Illmosis Network: The new gallery starts with “V” but my other characters will be added later. I’m still a bit worn out from the past few weeks and the yesterday’s great convention, so I couldn’t write the big, detailed “Thank You” post that I wanted to make yet, but will get that together this week. For now, I’d just like to thank everyone who visits the site. You’re one of the biggest factors that kept me going through that whole time. 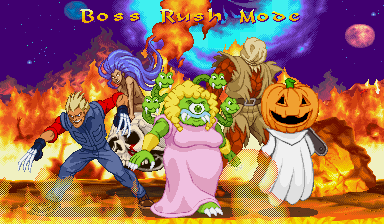 ScrollBoss has been here since the days when these older games were looked down upon by a lot of people and I’ve tried to let this place be a lighthouse for anyone looking for place to appreciate older action games and pixel art. I still have a lot of new things on the way for this site, so I hope you keep visiting every once in a while! New sprites of Adam Hunter (from Sega’s Streets of Rage, Vixen (DC Comics) and Monica Rambeau in her Captain Marvel uniform (Marvel Comics) have been added to the Sega, DC and Marvel galleries. Ms. Rambeau’s Captain Marvel logo being added to the mini-logos gallery. All three characters are in the GFX Generators where Vixen also has 3 more palettes. The All AmeriCon convention hits Warren, Ohio again on July 18th (one day before this site’s 15th Anniversary) and I’ll be getting a table there to sell scribbles. Get info about it by checking out the Facebook page for the event. I’m keeping my fingers crossed that a few people I know from the internet will roll through, but I’ll announce that once it’s ready. My plan is to get some pixel art things to sell alongside my usual scribbles and, possible, a mini-art book. To do that, I really do have to detach a bit from this site to work on those things and it needs to start not now, but right now. 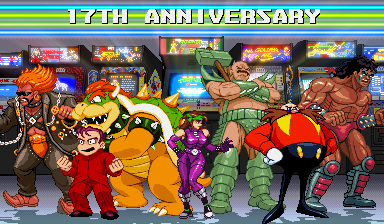 This site will still be updated at least once a month until the anniversary in July, though it won’t be as much as the crazy deluge of pixels I’ve been dropping on you for the past few months. Clean up work on the generators will continue to make way for crazy new features and a few things on the site will be fixed up. Some of the things I’m working on will also be sold through this site, because I want to make a game-related mini-book, too. 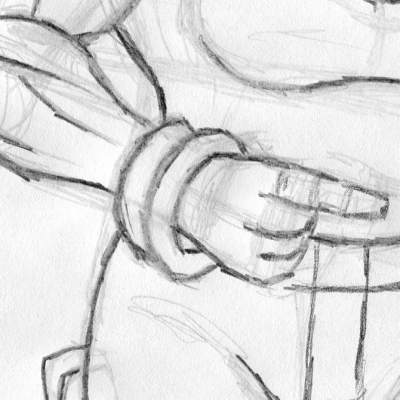 BTW: I had line work for one more sprite, but I might just save her for May. You’ll know why if you know who she is.